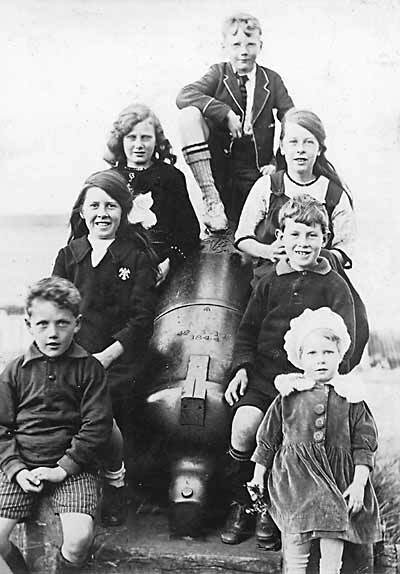 This family group was taken by Robert Clyne, the lighthousekeeper at Cromarty. Another pic of this area can be seen on picture #293. This picture is labeled 4 Whytes and 3 Angus's in Robert Clyne's album. The Whytes are his greandchildren, Isabel 2nd back on the left, on the right Betty is at the front, Willie behind and Lottie behind again. I don't know who the Angus children were.